If you're feeling the heat this week, why not cool down with a refreshing Ice Therapy facial which you can do in the comfort of your own home? 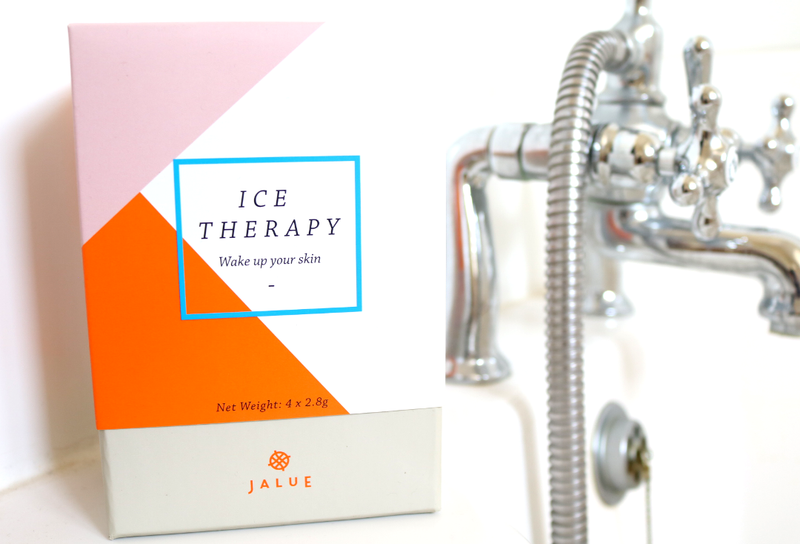 I've tried out the Jalue Skincare Ice Therapy set to see what it's all about! Cryotherapy has been cited as one of the biggest beauty trends this year with all the well-known beauty editors giving it a go, but whilst certain techniques may have become more sophisticated in their applications, the use of 'freeze or cold therapy' for skincare purposes is nothing new. In fact, there are records of women (and men) using cryotherapy which go back centuries, and these detail all sorts of methods including applying ice cubes to the skin, indulging in a chilly ice/snow bath, and swimming in freezing cold lakes (Dita Von Teese is apparently a big fan of the latter). Depending on the method used, there are numerous skincare benefits and being ever curious about these things, I decided to test out the Jalue Skincare Ice Therapy set. This isn't the type of cryotherapy facial that you may have seen on Instagram (there's no liquid nitrogen involved here! ), but instead, it's an all-natural facial treatment which uses ice and herbs to achieve a range of desired results for the skin. Jalue Skincare Ice Therapy is an at-home facial treatment that you can do yourself. It's inspired by an ancient Russian tradition which was used by Catherine the Great (1729-1796). The famous empress was said to have applied an ice cube to her face, neck and décolletage every morning to preserve her beauty and refresh her complexion. Russians later improved upon this ritual by adding different skin beautifying herbs to the ice for the ultimate skin care treatment. These cooling mini facials are designed to 'wake up the skin' by boosting the overall radiance of your complexion. It helps to reduce puffiness, fights the formation of new wrinkles, tightens the skin, and reduces the appearance and size of pores. 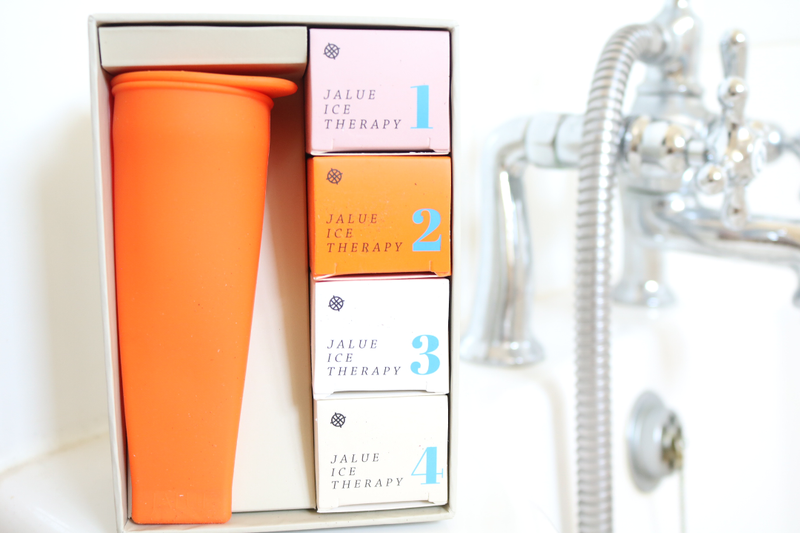 The Jalue Skincare Ice Therapy set includes one silicone cone and four individual sachets of herbs which contain a blend of Chamomile, Sage, Nettle, Rose and Oak Bark. 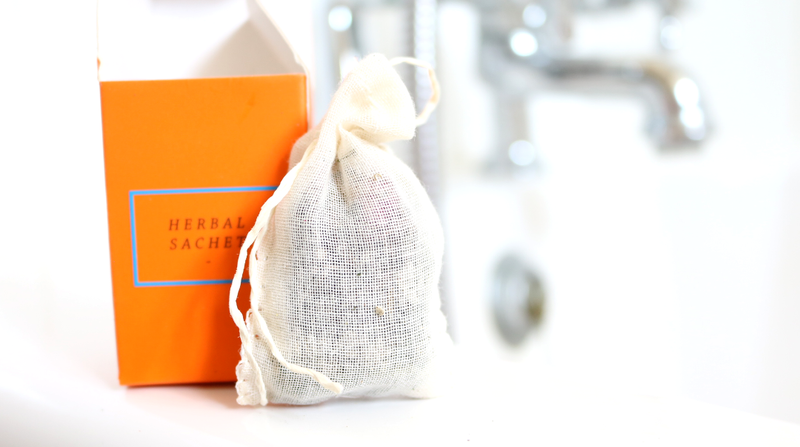 Every individual herbal sachet is hand-filled and hand-sewn by Anatolian women which supports their local communities. This set is cruelty-free and free from artificial colourants, fragrances and preservatives. Simply steep one herbal sachet in 100ml of boiling water (though I'd recommend using a bit less so that the silicone lid fits better - I used about 80ml instead). Allow to cool, then remove the sachet and pour the infused water into the silicone cone. Pop it into the freezer on its side and once it's completely frozen, it's then ready to be used. Apply the ice cone to cleansed face, neck and décolleté in gentle circular motions, but if you have sensitive skin, place a muslin cloth over the ice cone first, so that it's between the ice and skin before applying. You can use this every day, and it can be used morning and night as part of your regular routine. Once applied, pat the skin dry and follow with your normal serum/moisturiser. Remember to read the instructions fully before using and be careful not to leave the ice cone on the skin too long as this may cause discomfort or irritation. I tested this set for four weeks (each herbal sachet contains one week's worth of treatment) and I definitely noticed some skincare benefits such as firming and tightening, as well as a noticeable glow after use, but these were all short-lived, so I found it more useful as a temporary quick-fix for the day, rather than anything I would use long-term. I did thoroughly enjoy using it though, especially as it's been so hot lately. It's very soothing, refreshing and of course, wonderfully cooling so it would be perfect to try out for the Summer months, but I'm not sure I would use it during Winter! If you're curious to try an all-natural ice therapy facial treatment and have the budget for it, consider giving it a go before a special occasion or night out, but it's not an essential for your skincare routine in my opinion. Have you tried any Ice Therapy facials?